The forest elephants of Africa come from far and wide to find a vital part of their diet - clay. Forest elephants create jungle trails. 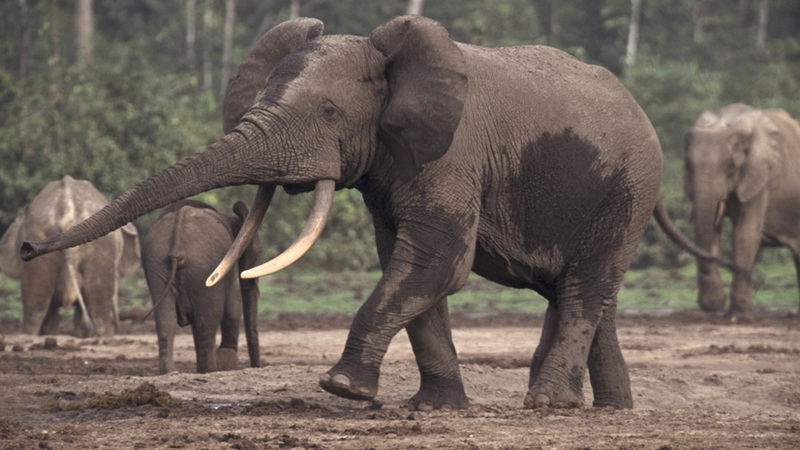 Forest elephants live in smaller groups than their larger African relatives. Forest elephants are social animals. Forest elephants use their trunks to dig for clay, which contains essential minerals. These jungle trails were made by forest elephants, a species of African elephant. Here in the Congo, forest elephants congregate from far and wide to perform an act essential to their survival.